MILLION DOLLAR VIEW for less than half a million! Live the dream and have beautiful sunsets each day. 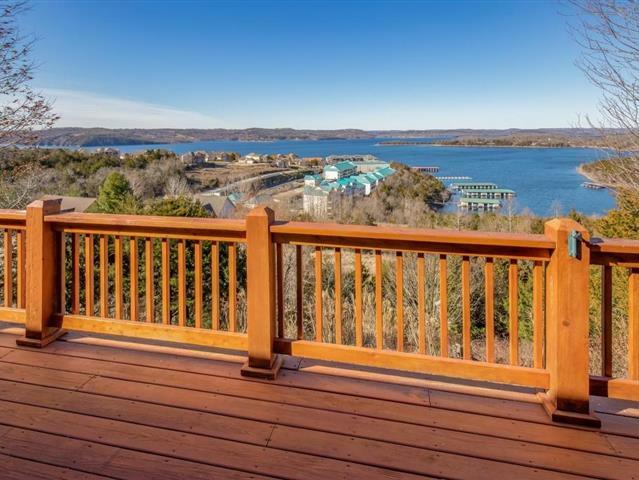 Well maintained home in gated Emerald Pointe on Table Rock Lake. Master Bedroom, guest bedroom and laundry (with pantry) are all on the main level. Kitchen with island and newer appliances is a delight, plus that ''View''. One fireplace on each floor, both have gas logs. Family room, plus two bedrooms, bath and tons of storage in walk-out basement with screened porch. Large 3-car garage with 14 X 6 storage closet. Home is listed under appraised value. See Improvement List and other information under ''Documents''. Make an appointment to see this home today!